The MAC-10 is an extremely compact submachine gun capable of spraying a truly devastating stream of bullets in a very inaccurate cone. This is not a sharpshooter’s weapon. Because of its high damage and compact frame, it has a reputation for being a criminal weapon, often appearing in the hands of villainous, poor or seedy factions. Left 4 Dead 2 factored this into the weapon’s design according to the developer’s commentary, which is why the weapon has a suppressor and its flashlight is crudely zip-tied to the barrel. Add a laser sight to fix its accuracy and you suddenly have the most powerful tier 1 weapon in the game. Payday: The Heist stars heroes even more unsavory than the zombie-fighting survivors of its inspiration, and the Mac-10 appears here as well, christened the Mark 11 and containing the exact same silencer and cloth foregrip. In both games it serves as the “high-damage, low accuracy” option in the SMG class, and the silencer allows heisters to fire the gun without setting off the alarm. The gun reappears in the sequel Payday 2, here unsilenced by default but accepting many different weapon modifications. To get the silencer from the first Payday, you’ll need to own Hotline Miami 2 on Steam. Or own the Tournament mode from Dreamhack Austin like I do. 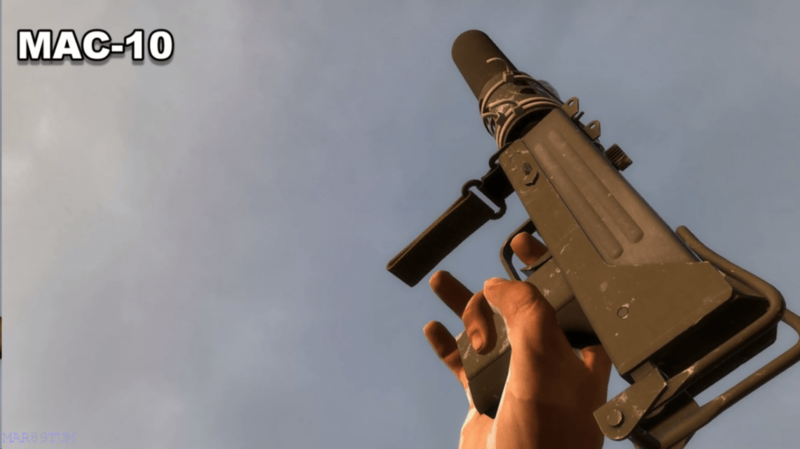 The Mac-10 in Killing Floor is a really interesting weapon because of its relationship with the Firebug perk. With other perks, it’s an affordable, lightweight sidearm that deals respectable damage, but when wielded by Firebugs it becomes capable of igniting enemies with its bullets. This lets you deal incendiary damage at ranges that exceed the flamethrower while still pulling its weight at close range. I never play Firebug without equipping this gun, and in builds that require a full-auto backup weapon I often gravitate towards the Mac-10 on any perk. Unlike the SCAR rifle, which has multiple popular styles of filling a role in a combat roster, the Mac-10 is endlessly simple and every single game gives it the exact same stats. It also tends to be a popular weapon, though rarely does it dominate the SMG category, instead serving as a viable candidate for the “cheap bullet hose” role that can blast its way out of a pinch when the odds are against it. As one of my favorite firearms, I’m happy whenever I see it in my games, but I was still kinda surprised to see just how many games had this gun. This article is part of my “Guns in Gaming” series, where I examine specific real-world firearms and how they’re represented by the games industry. To read the rest of the series, click here! Previous Previous post: Summer Games Hit Overwatch!